For those of you who haven’t heard, the San Francisco Giants won the World Series on Monday and are 2010 world champions. And, by now most of you have figured out that I am a Giants fan. I was getting ready to write a lovely blog post about the thrilling topic of government money devoted to improving American wellness. Alas, the wellness grants will have to wait because I just got back from watching the Giant’s victory parade, and have baseball on the mind (and the Giants in my heart). I am however, a nutrition blogger, here to discuss the topic of nutrition in the foodservice industry, and not my love for Juan Uribe, so to segue I have gathered some interesting facts about your favorite ballpark foods and their calorie contents’. 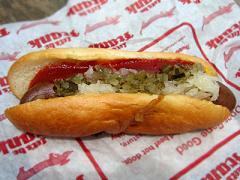 Hot Dogs – 1 Alpine Hot Dog (the official hot dog of the San Francisco Giants) with bun, sauerkraut, relish, onions, and mustard has roughly 390 calories. Fun Fact: Delaware North estimated that about 15,000 jumbo hot dogs would be served at the Ranger’s stadium during the World Series, that’s 585,000 calories in hot dogs. 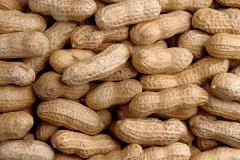 Peanuts – A five ounce bag of unshelled peanuts contains 620 calories. Fun Fact: Peanuts are an excellent source of monounsaturated fatty acids which can help lower your bad cholesterol levels. 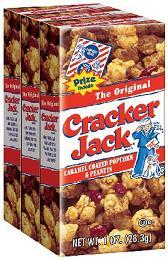 Crackerjacks – 1 box of Cracker Jacks contains 420 calories. Fun Fact: In 1994 a Fat Free Cracker Jack product was introduced. 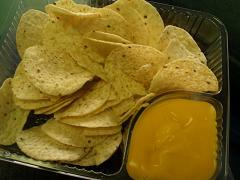 Nachos – 5 oz chips with ½ cup nacho cheese sauce and jalapenos contains 950 calories. Fun Fact: Delaware North estimated that 5,000 orders of nachos would be served at the Ranger’s ballpark during the World Series. That’s 4,750,000 calories of crunchy meltiness. 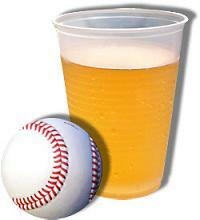 BEER – My favorite part of any professional sporting event is the $9 Coors Lights (not). One 12 oz light beer contains 100 calories. Fun Fact: Beer is fat free and cholesterol free.